How often should I get my engagement ring professionally cleaned? Is there other maintenance I should do for it? Home cleaning solutions do an excellent job of maintaining your jewelry’s appearance between visits. We strongly recommend that you bring your jewelry in to be inspected and cleaned at least once a year; every six months is ideal. We use a heated ultrasonic machine to remove buildup from the gems and metal. Then a high-pressure steam machine sanitizes each piece and ensures the gems sparkle to their potential. Silver pieces are cleaned and polished by hand. 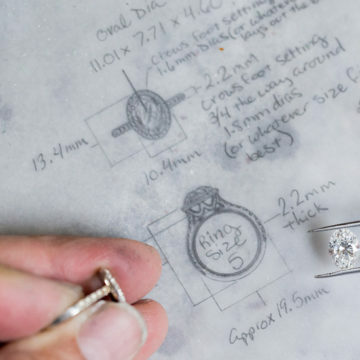 Our experts will not only thoroughly clean your jewelry, but it will give us an opportunity to assess any challenges that may be beginning to arise. The prongs that hold the gems in place may be starting to wear, channels may be thinning, or you may have loose gems that need to be tightened. This can all be accomplished while the customer waits. 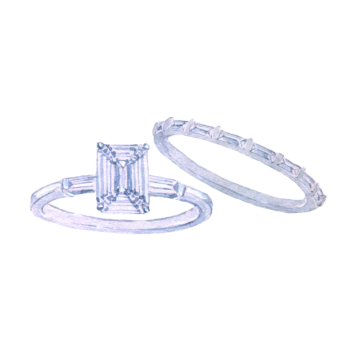 We are very happy to clean and inspect all of your jewelry, purchased from Bachendorf’s or not. There are some repairs such as polishing or rhodium plating that may require the piece be left for a short while. Your jewelry consultant will inform you of time frames and any costs associated at that time.